When using fenugreek to improve very poor soil, mixing a balanced organic fertilizer into the soil before planting will give better results. 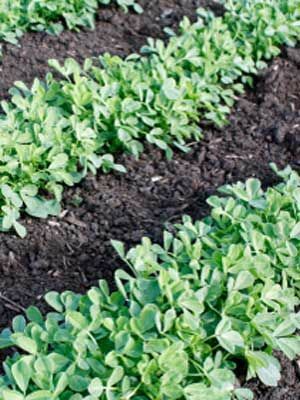 Sow fenugreek from late spring to late summer, whenever a bed will be unused for more than eight weeks. Direct seed into cultivated soil so that the seeds are about 2 inches (5 cm) apart and one-half inch (1 cm) deep. Thin to 6 inches (15 cm) apart in all directions.